When your quantities or print applications demand that a job run offset, Digital can handle that too. We offer full size forty inch printing up to 10 colors in a single pass with a wide array of coatings to protect your finished piece. 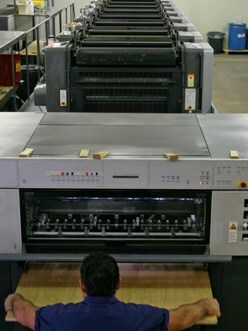 And if you have something a little smaller, but still requiring offset printing, we can accomodate you through our small press group. No matter what the application - Digital has the solution!